Should you be putting money into your pension before the Budget? There has been a lot of speculation this year in the lead up to the budget about possible changes to pension rules (yet again) and the possibility that relief may be reduced. So, Should you be putting money into your pension before the Budget? If you are considering making an additional pension contribution our advice is to do this before the 16th March – Budget day. This is potentially the last chance to benefit from full tax relief at your marginal rate on pensions contributions of up to £180,000. Now for most of us that amount is just not possible, but if you have not made any pension contributions at in the last 4 years, yes you can, if you have the money, to put this amount into a pension scheme. Contributions at the moment are either relievable again Corporation Tax if an employer contribution or relievable against income tax if made as a personal contribution. What might George Osborne do on the 16th March? So with the uncertainty in mind, if you are considering making a one off pension contribution this tax year, doing it before the Budget day would be a wise move. Contact me on 01902 742221 or martin.dodd@miadvice.co.uk if you would like to discuss your options. With effect from the 6thApril 2016, anyone earning more than £150,000 including their gross employer pension contributions will have a reduced annual allowance on which they can claim tax relief. If you earn enough the maximum pension contribution will taper down to £10,000. Amounts contributed in excess of this will be subject to an annual allowance charge of up to 45%. With effect from April this year the maximum Lifetime Allowance will reduce to £1million. It is tested at the time that you come to draw your pension benefits and again at age 75. If you have 10 years before you plan to draw your benefits, a pension pot of £600,000 today, growing at 5%, may well exceed the £1million Lifetime Allowance. Protection can be put in place if you are close to the Lifetime Allowance and our advice is to always seek professional advice in this area. In general our view is that the Government wants the population to have better pension provision. However the shorter term need to reduce the deficit is in our opinion leading the Chancellor to look at all options to reduce their spending. Tax relief on pensions is an easy option as in the main it hits harder on the middle and higher earners. Or in others terms, those that are more able to withstand any adverse tax changes. 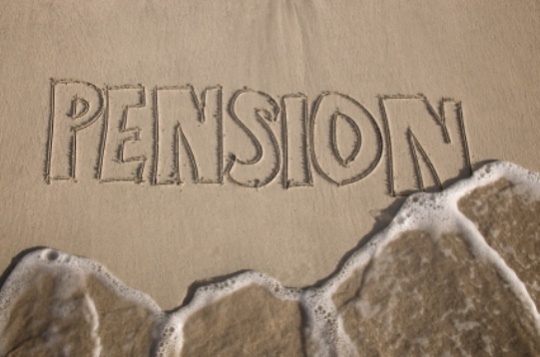 Our advice is therefore to make pension contributions ahead of the Budget should there be changes made to pensions on the 16th March. This article does not provide specific advice and you should always seek professional advice from a qualified adviser before making any decisions.